The first method will prove to be economical and easy to do. It’s best to start this process going into the weekend like Friday night or Saturday morning. 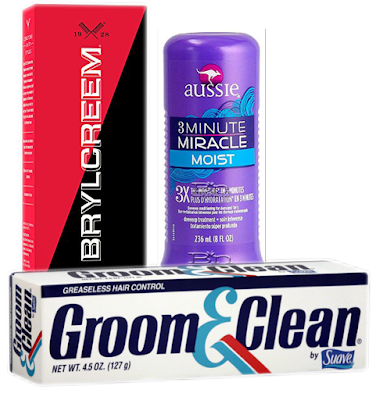 During my research the two products that come up most often are Groom & Clean and BrylCreem. Groom & Clean being the best of the two for your degreasing. You can find them in any CVS, Walgreens, Bed Bath & Beyond store near you and very inexpensive. Place a copious amount in your hair, comb and style and leave it in for the whole day you should feel it breaking down the buildup. In the morning after you shower if you still feel you have buildup then apply one more time. This should degrease your hair for the new week. The second method would be using something that you may already have a water based pomade. Yes, most of them do have the ability to break down heavy grease buildups. Some I’ve tested are Prospectors, Dapper Dan, Layrite original and Clubman Pinaud Brilliantine. So this is a quick and easy way if you happen to use both types. Just work it in and style as normal and leave it in for the rest of the day. The next day when you shower your hair will be degreased. 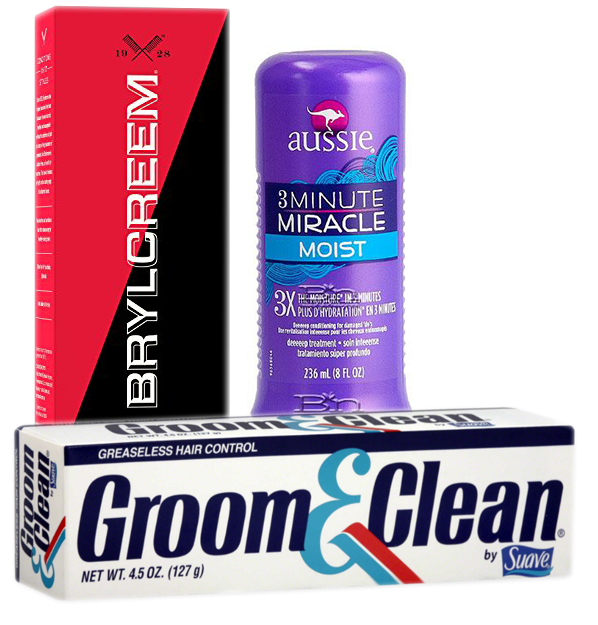 The last method and the best product for degreasing your hair is “Aussie 3 Minute Miracle Moist” use nothing else in this line it must be this one. Your hair must be dry. Use a generous amount and work it in to your hair using your hands first then brush your hair to make sure your getting every inch. In 15 - 20 min you can wash your hair. You now should be degreased.